Located at the entrance to Manchester’s bohemian Northern Quarter, Mamucium introduces a dynamic, charismatic and comfortable setting that embraces the core characteristics of this city’s heritage. family favourites recreated with a Mancunian twist, there’s something here for everyone, all day long. Whether you’re joining us for an early morning business breakfast, a quick bite to eat, a few cocktails with friends or an intimate evening meal, expect fun, theatre and above all else, a truly unique Mamucium experience. No vodka and not shaken are the true origins of this drink, but we're happy to make yours however you like it! A savoury concoction of vodka, tomato juice and spices - reportedly a great hangover cure! Our Executive Chef's favourite drink inspired by John Henry Davies, the first president of Manchester United. It's a modern twist on a classic ameretto sour! Mamucium has been on our must-visit list for a while, and I'm so glad we finally booked in. everything about our Mamucium evening was superb, from the service to the exceptional food. 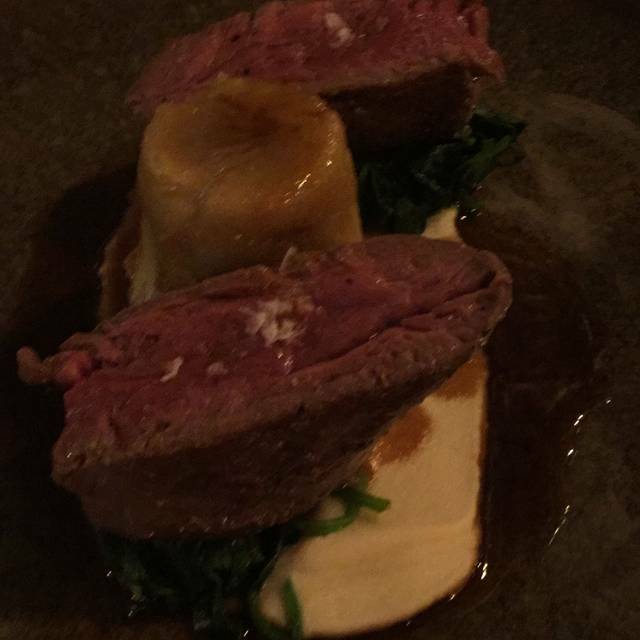 Every course was simply delicious and my partner was particularly impressed with their perfectly cooked blue steak. It's not the cheapest of venues but it's clear you're paying for quality. We're looking forward to another visit in the near future. Food was a classic uncomplicated british menu however managed to stand out in the quality...and we order lobster and steak! Pretty impressive to differentiate. However despite the quality of the food, felt the service unwhelmed. Our setver was lovely and very accomodating however there was only 2 maybe 3 which made waiting times for drinks and orders noticeable. I also found the ambiance a little ‘flat’, perhaps because they need to keep an amount of tables available for hotel guests? Overall if i was a guest of the hotel i would be super impressed with the house restaurant. As a restaurant guest, i recommend the food to my friends but make them aware of the vibe. For foodies a must though! A lovely new restaurant in the Indigo Hotel, classy interior, incredibly good food, and very good team to serve you. Great service. Very good food. Will come back again. The service was great initially, but we requested a menu for further orders and nobody actually came back to see if we wanted to order anything. We also had to actively request the bill. Other than that, the staff were really friendly and the food was lovely. Great restaurant, staff were very attentive and recommended dishes to us, the decor and ambiance were lovely too, lots of nice little touches. Would recommend! Food and service was exceptional quickly becoming fav place to eat . Terrible layout of tables and sloppy service. Ugly furniture, put me in mind of castoffs from Gino D'Campo's and very little ambience. Our starters arrived before our wine, even those we waited a while for. Food/menu/wine all lovely and toilets very nice. Will not go back and will not recommend. GREAT FOOD. GREAT WINE. GREAT LOCATION RIGHT OUTSIDE THE STATION. Excellent family meal enjoyed by us all. Friendly & welcoming staff. Perfect ambience. Good value set meal including wine. Delicious food. The best part was the laid back approach. We did not feel rushed at all and enjoyed each course leisurely. We would absolutely return when next in Manchester & would certainly recommend. Excellent food, service and setting. Great location. I would highly recommend. 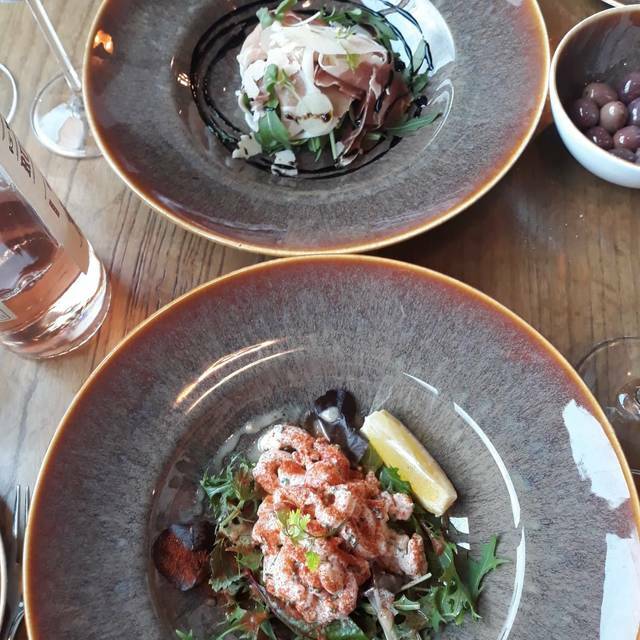 The dishes were very tasty, our waiter was called Zak and he kept coming back to ensure we were okay and had all we needed and kept our wine topped up. Service was really quick, i would definitely recommend it. 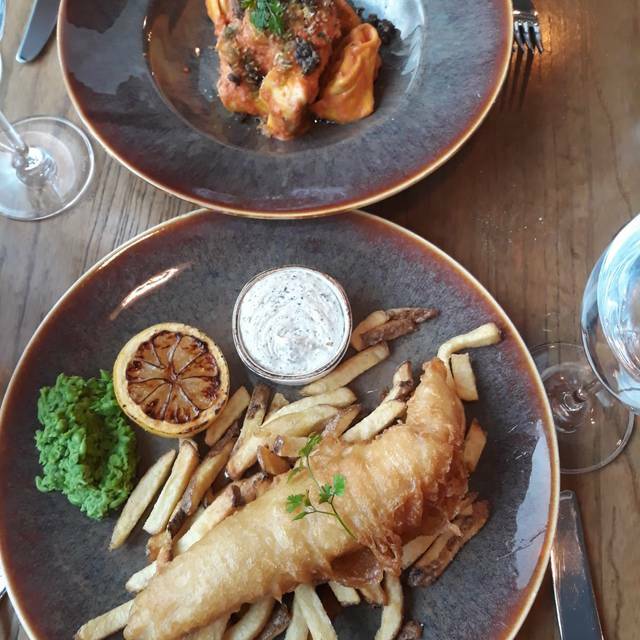 Everything was good, the food was great, the wine menu was short but well-chosen, the service friendly, the atmosphere nice and informal and we got an offer so in terms of value for money it was amazing! Delicious food & drinks, fantastic service, highly recommended. Lovely food great staff and the place was busy but we didn’t feel rushed to free up the table. Amazing food and location. Everyone enjoyed everything, some in our party didn't want a starter but were given a small complimentary one anyway to fill the gap - very nice touch! 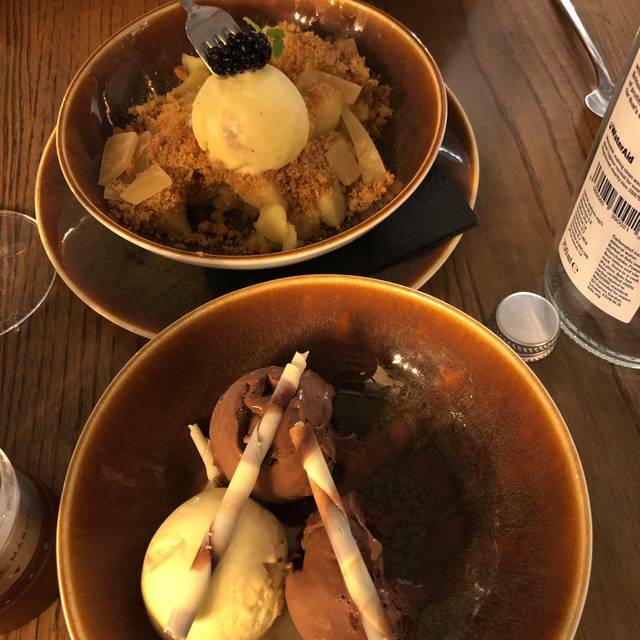 Only minor negative was the service, although everyone was friendly we did have a long gap between mains and ordering desert, we also had a delay with getting the bill (i had to chase). It was full though so understandably the staff were busy. Gorgeous restaurant, great food and service. Lots more I want to try on the menu so I will be back soon. 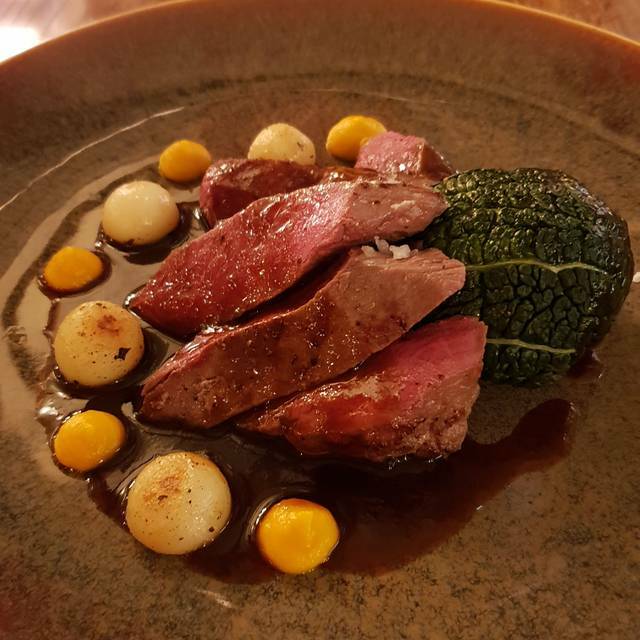 Service was excellent and felt well looked after .. the food was excellent and highly recommend the beef Wellington ..
Beautiful food, great drink selection too. Charming from start to finish. The decor nods to Manchester’s cotton mill manufacturing history with Victorian tile floors and exposed ceilings. The menu highlights a wealth of local delights too. 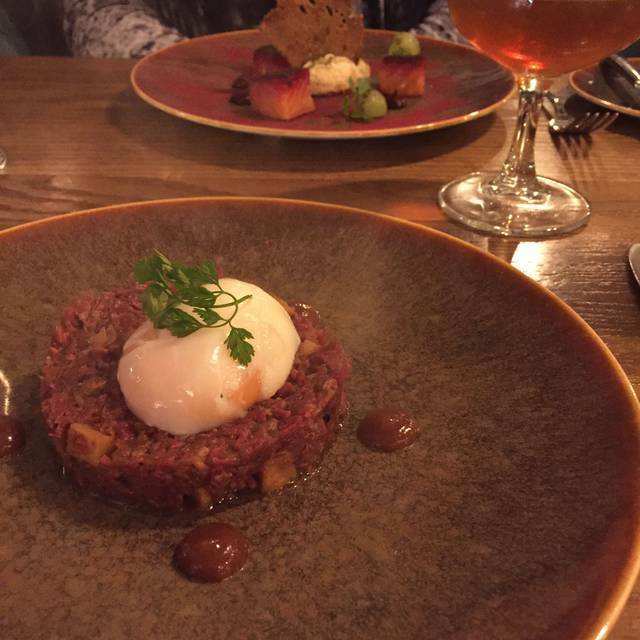 Try the beef hash starter with poached egg for a bit of theatre and don’t miss out on the peanut butter bread pudding. The creative head chef pulls recipes from his child hood so tasty you will wish you were related. The staff are on par too and can be relied upon for the perfect wine to pair with your meal. Service flows as easily as the banter. Worth every cent. Go make your reservation. You won’t be disappointed! Birthday. Food and service were excellent. Air conditioning needs sorting out. Only cold air coming out. Enjoyable meal. Very pleasant waiter. Good approach to allergies/intolerances. We had a warm welcome and a very friendly and attentive waiter. We were served promptly with both drinks and food but not rushed. The room space was a little too brightly lit for my taste, and our window table was a little chilly. The main negative was the music, it wasn’t too loud but mainly club type music which doesn’t fit with the cooking style. The food is excellent though. We chose Mamucium to take advantage of the 3-2-1 offer. What an excellent choice! We spent hours catching up over 3 delicious courses, crisp, chilled wine. The service was friendly and knowledgeable without being intrusive - just perfect. Thanks to Ana who encouraged me to try the tortelloni, she was right! Hope to be back again. The staff were lovely and friendly but the service was very slow considering there were only a few tables with customers. The food was lovely but we were disappointed with the size of the mains. Our 5 year old had more food on her plate. We went prior to a visit to the Manchester Arena (5 minutes walk away) and were delighted. Although the restraunt was only recently opened any teething problems seemed to be have been ironed out and we could not fault the service. Zak, our waiter was both knowledgeable and attentive. 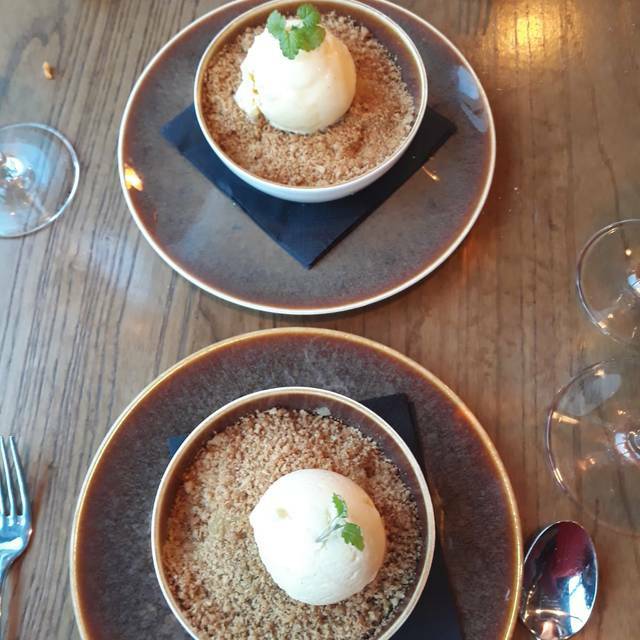 The food is British with a modern twist and was superb - so good that whilst normally we would only have a starter and main it felt churlish not to also try the desserts. Highly recommended. Finally for top notch food and drink the price was quite reasonable. A worthy addition to Manchester and we will be visiting again. excellent position on corner of Victoria railway station,with access to all major shopping and leisure locations. service and food was first class - great place to meet and simply have a drink but definite place to reserve a table to dine. First time visit good food and service.Will be back. Service was pleasant but slow considering it was very quiet. Restaurant itself very good in terms of aesthetics. 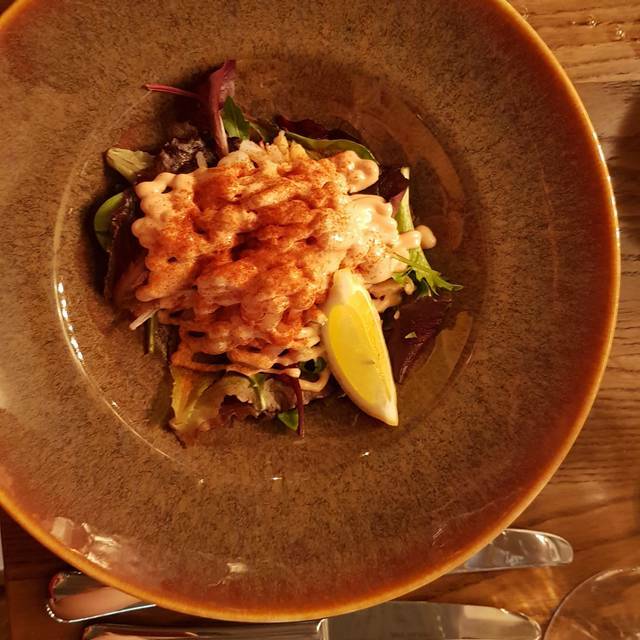 Mouth-watering food and absolutely amazing service. Zak is such a knowledgeable waiter and an absolute asset to the team. I can confidently say Mamucium is now my favourite restaurant in Manchester. Will definitely return as soon as possible and tell everybody we know about the hidden gem! The 321 offer was excellent value. The food was hot and delicious and the service very attentive. I couldn’t find fault with anything, will definitely return. £20 each for three course meal on a deal which was lovely! The food is very nice and goo quality, the place is beautiful, it was early when we went in but be nice to see this busy at night I'm sure the place is vibrant! Really good music in the background - chilled out cool funky house stuff!